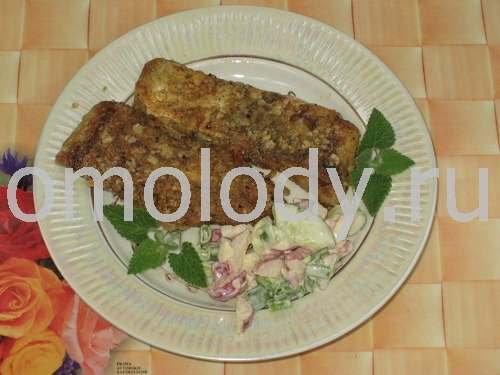 Fried Bream coated in the oats, fish recipes. Fried Bream coated in the oats. These tender juicy parts of fish enjoy world wide popularity thanks to the delicious light taste. 1. Cut a fillet of fish lengthways into strips and than in half. 2. Mix oats, flour with salt, chili powder, dried ground greenery, pepper and coriander. Coat fish strips with the mixture, then deep fry in the oil until golden. Serve with vegetables salad.